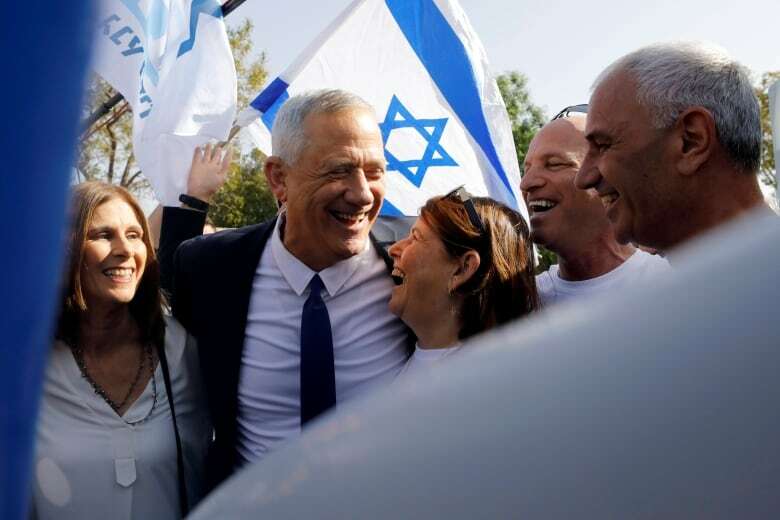 Gantz cast his ballot in his hometown of Rosh Haayin in central Israel alongside his wife, Revital, and called on all Israelis to get out and vote, saying they should “take responsibility” for their democracy. Israel’s election committee said midday voter turnout stood at 24.8 per cent — or down two percentage points from the 2015 elections — but the statistic may not be a prediction of the overall turnout as polling stations close at 10 p.m. local time (3 p.m. ET) on Tuesday. Many anticipate a last-minute surge of voters heading to the polling stations. The committee also banned hidden cameras at polling stations following an Arab party’s complaints that it observed Netanyahu’s Likud party deploying staffers who attempted to secretly watch predominantly Arab polling stations. Netanyahu delivered increasingly impassioned pleas to voters to come out and support him as the day wore on. He took to Facebook in a steady stream of videos to rile his national base by warning that if supporters failed to vote, they’d wake up to a “leftist” government led by Gantz. 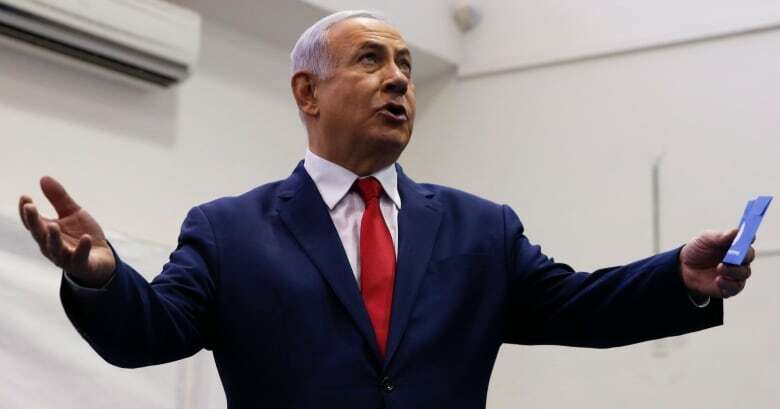 He said such a scenario is backed by a “secret deal” with Arab parties, which he often brands as his political foe; Netanyahu has become known for divisive campaign tactics, which critics call racial incitement. Coalition inevitable — but under whom? Polling stations opened at 7 a.m. local time, with exit polls expected at the end of the voting day. Some 6.4 million eligible voters will be able to cast their ballots at more than 10,000 stations. Some 40 parties are running, but no more than a dozen are expected to make it into parliament. Election day in Israel is a national holiday, and turnout was expected to be high in good weather. As many as a half-dozen parties are teetering along the threshold for entering the Knesset, or parliament. A failure by any of these parties to get the required 3.25 per cent of total votes cast could have a dramatic impact on who ultimately forms the next coalition. The Israeli government needs a parliamentary majority to rule, and since no party has ever earned more than half of the 120 seats in the Knesset, a coalition is required. Arab turnout is expected to be a major issue this time as well. Netanyahu’s campaign against Arab politicians, together with the new alliance with anti-Arab extremists and the passage of last year’s contentious nation-state law, which enshrined Israel as the homeland of the Jewish people alone, have deepened calls for a ballot boycott in Arab communities. But some hope these blows will have the opposite effect, fuelling enough frustration to drive up the Arab participation rate, which is typically lower than that of Israeli Jews. A big Arab turnout could push smaller right-wing parties into the margins and even threaten Netanyahu’s long rule. Gantz has indicated he would not foreclose future peace negotiations, while the Israeli military said it imposed a 24-hour closure on the West Bank and Gaza throughout election day, based on its security assessments. The survey, which had a margin of error of 3 percentage points, was based on the responses of 1,200 people.